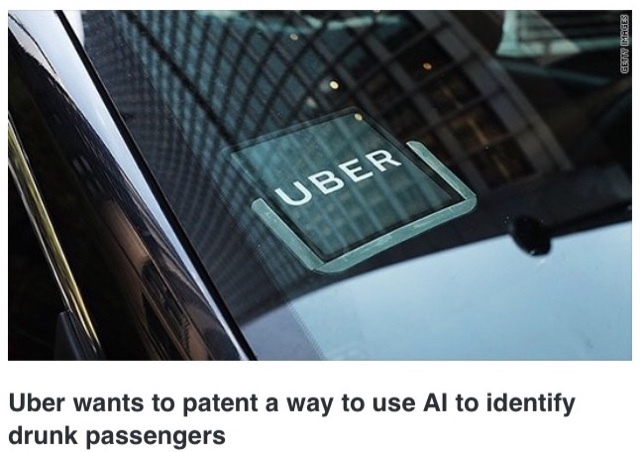 It’s been alleged that Uber may soon be patenting a system of artificial intelligence (AI) with facial recognition, which will distinguish whether the passenger is a regular rider or a licensing compliance office....a bit like their previous GreyBall system. They hope to get this under the radar by announcing the system will identifying drunk passengers with artificial intelligence, according to information published on Thursday. They are saying with the technology, Uber could better tailor its ride options for customers, but opponents believe it’s another system to deceive the regulators. The system relies on an algorithm to weigh a variety of factors, including typos, how precisely a user clicks on links and buttons, walking speed, and how long it takes to request a ride. The time of day, and where a ride is requested may also be considered. In other words Uber will be spying on and collecting masses of data from its users. Uber driver have a history of serious sexual assault on drunk passengers. Will predators working for Uber who haven’t had proper DBS checks be using this system to source new victims? The patent also says that the service Uber provides to the user could change, as a result. More secrecy !!! Uber states: Drivers may be warned of their passenger's state and riders in an especially unusual state may only be matched with drivers with relevant experience or training,.... but it’s generally felt that the system could well be used by drivers with unsafe previous!!! At best victims could be sourced by unscrupulous Uber drivers, to be charged unnecessary cleaning fees of up to £100. Uber has recent from for this practise used by drivers to inflate their earnings. 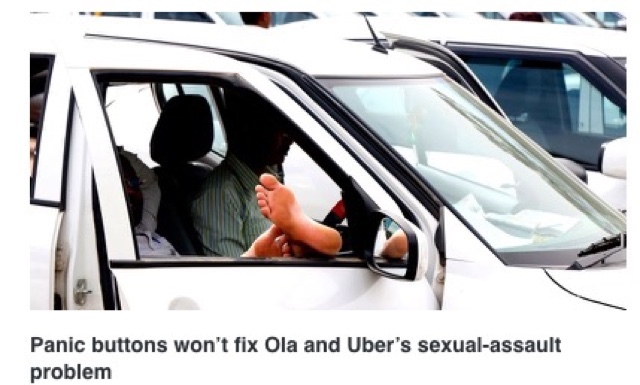 Uber’s Panic Button Wont Stop The Sexual Assaults. Click link below!